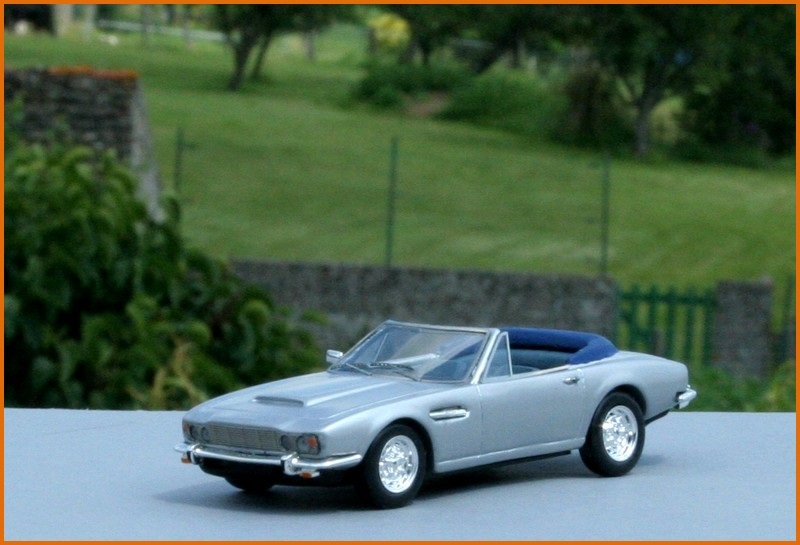 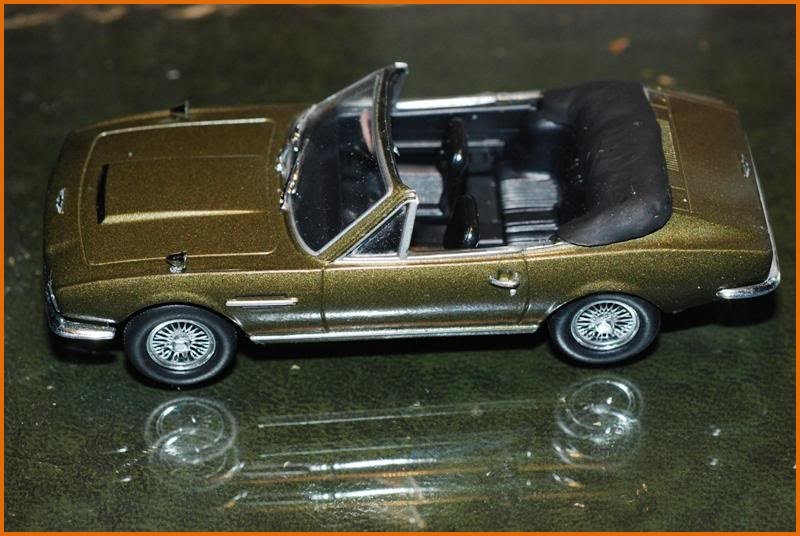 The fact that no miniature version of the Paul Banham Aston Martin DBS Convertible has ever been officially produced has led several miniature car makers to create their own version by modifying a standard DBS Coupé. 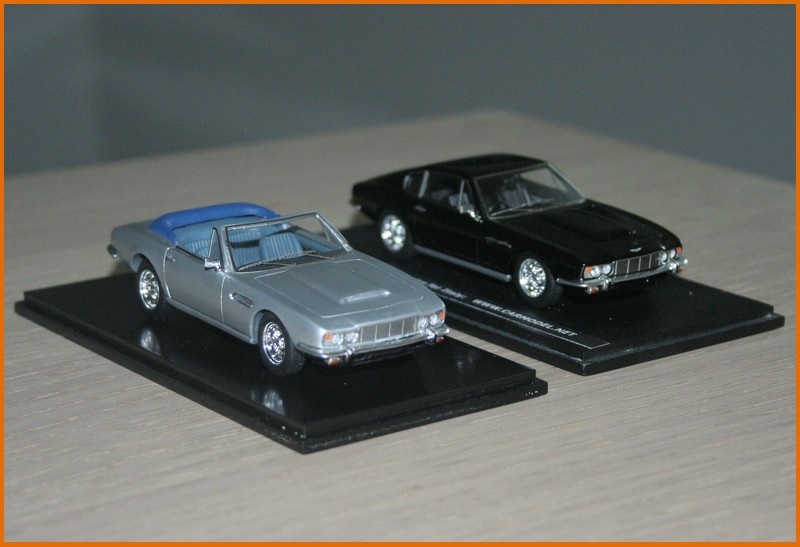 The three successful examples shown below are all built on a scale of 1/43. 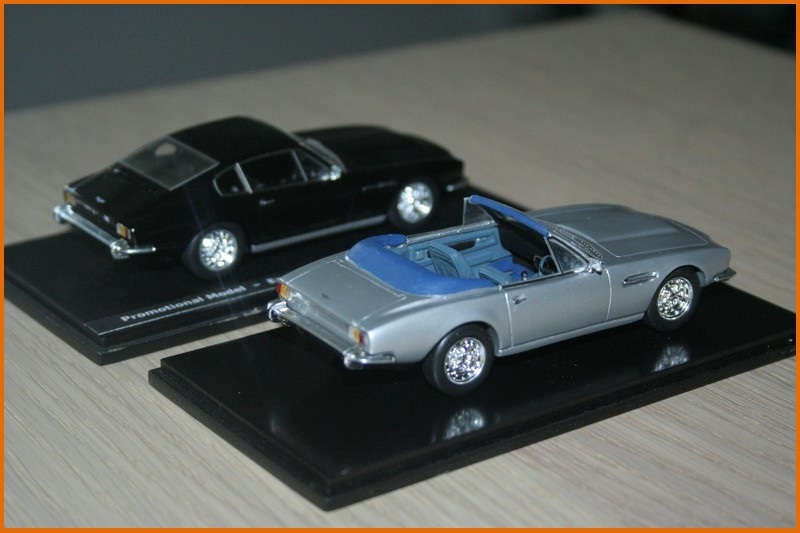 The first uses a Spark model as its base, and the second a DBS produced by Universal Hobbies. 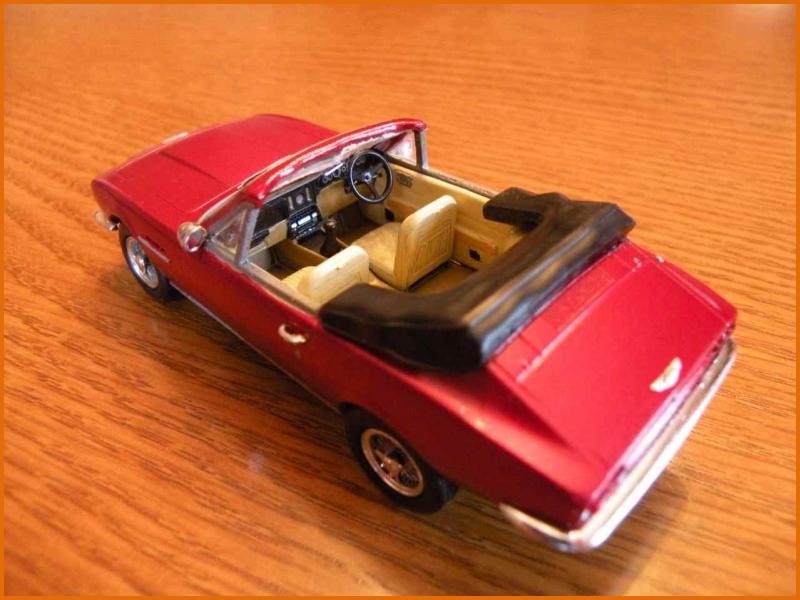 The third car also appears to be based on a Universal Hobbies miniature car, although the larger disproportionate wing mirrors used by Universal Hobbies have been replaced with smaller ones in line with the original car. 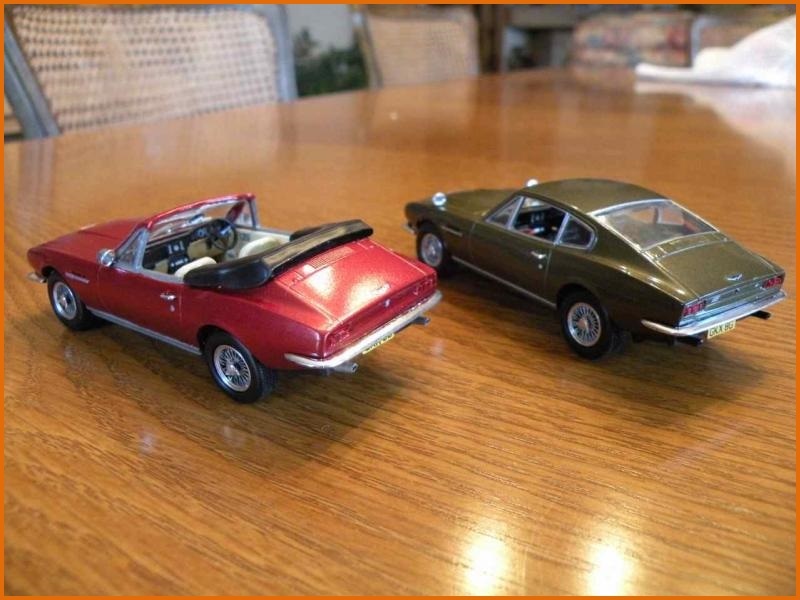 Due to limited demand, there is unfortunately little chance that these models will ever be mass produced, even though they are extremely well executed and a credit to their anonymous creators. 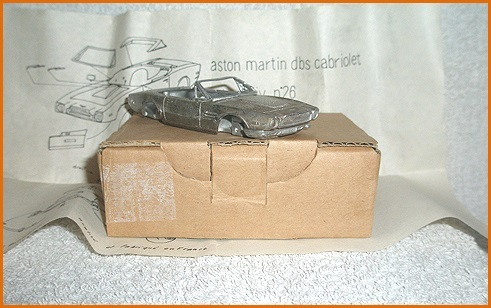 It should be noted that the Tenariv company did attempt to list an Aston Martin "DBS Cabriolet" model kit. 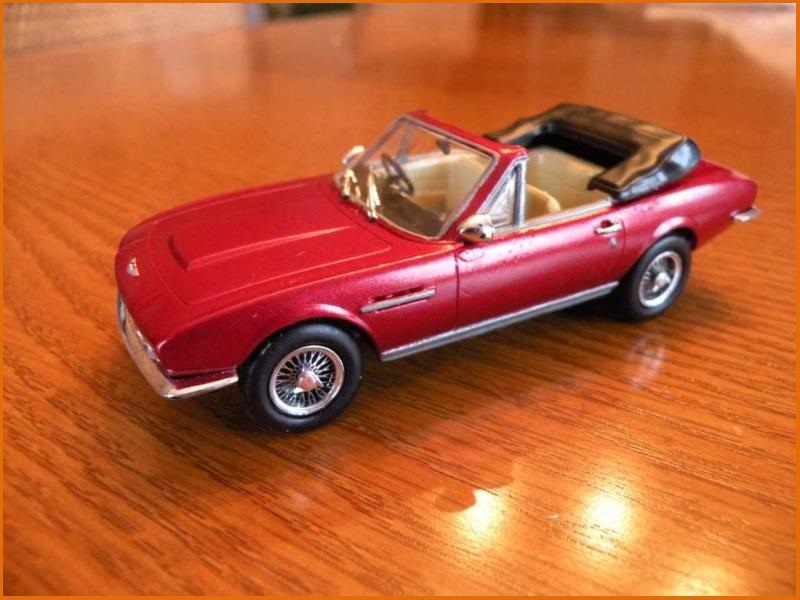 However, the car offered had the duel headlights of the AM V8 and not the four lights associated with the DBS (see below).